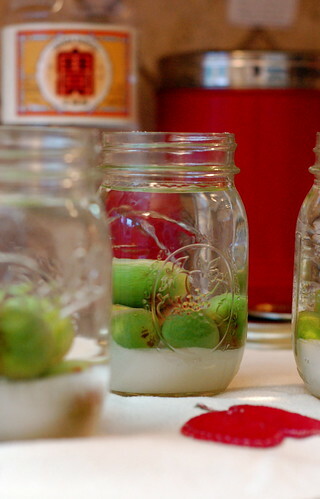 Steeped some very unripe plums in sugary soju in May. Now to put reminder in calendar that we have to sample our umeshu in September/October1. 1 The pink-tinged plums may look pretty here, but it’s all gone a bit greeny brown and medicinal in the jar now. This entry was posted in akatsuki eats and tagged fruit liquer, umeshu. Bookmark the permalink.